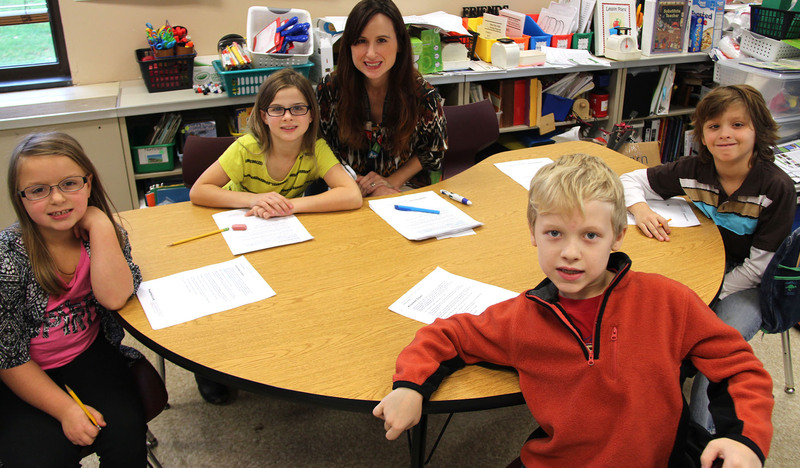 Palermo third gaders Isadora Ingersoll, left, Kylee Urquhart, second from left, teacher Megan Cernaro, student Joahquin James, far right, and Brady Cowley, front, take a break from relating the 7 Habits to characters in stories, as part of an English Language Arts lesson. Implementation of the 7 Habits is woven throughout academic units at Palermo Elementary. CiTi Staff Development Coordinator Liane Benedict said ‘The Leader in Me’ will bring the ‘7 Habits of Happy Kids’ to children at local schools. She said the model CiTi helped develop spreads the cost out to schools, making it more financially appealing. Included in that cost is an annual training workshop where a Franklin Covey representative visits the school, and three coaching days are held throughout the school year. CiTi will help facilitate implementation of local efforts, and Franklin Covey will provide schools assistance as needed. Palermo fourth grader Grace Dann reviews progress of her mathematical goals in her ‘The Leader in Me’ leadership notebook, as Principal Margaret “Peggy” Scorzelli looks on. 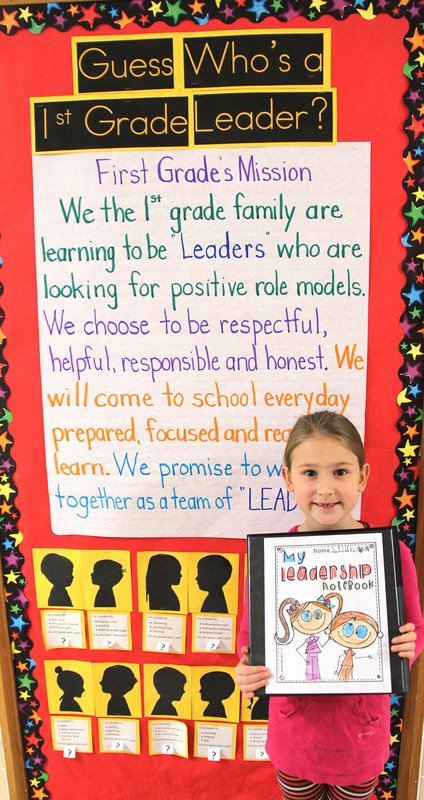 The Leader in Me is a multi-year effort which aims to prepare students to become leaders of their lives and in school. The program will transform and empower students to help them establish and reach their personal and academic goals, Benedict said. 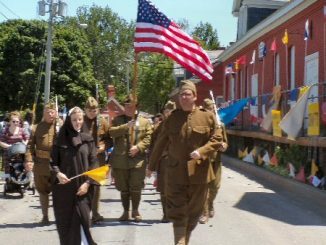 “It really is about every kid being a leader in something,” she said. Out of the 2,558 Leader in Me schools registered worldwide, the only three Central New York schools are within the Mexico Academy and Central School District. The district is currently working with CiTi to implement the seven habits throughout its elementary schools. Palermo Elementary began its process last school year, and both New Haven and Mexico elementary schools came on board for the 2015-2016 school year. At Palermo Elementary, there are reminders throughout hallways and classrooms that tell students leaders come in all ages. Lilah Donath, a first grader, displays her leadership notebook outside of her classroom. Through a partnership with CiTi and Franklin Covey, the elementary school has begun to empower students to become leaders at school, home and within their community. With the 7 Habits, the school’s vision is to have students love, learn, laugh and leave a legacy. 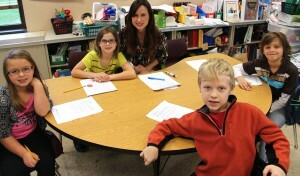 Students have various classroom roles, from room greeter to line leader and light leader. Students will learn there are countless ways to contribute in life, as the 7 Habits are transferable from school to home and their community. The program also requires students to chart data and track progress through use of a leadership notebook. For more information on how schools and the community can become involved, call Benedict at 963-4300.